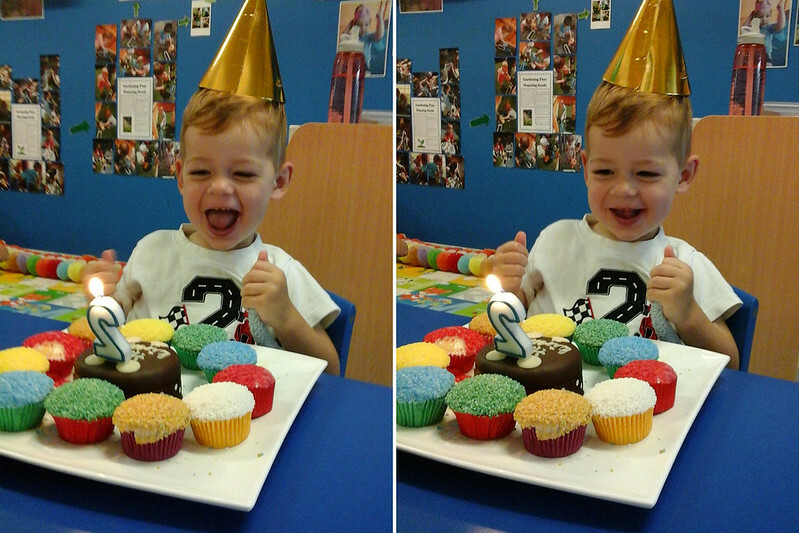 Our Life Down Unda: lachlan turns two. 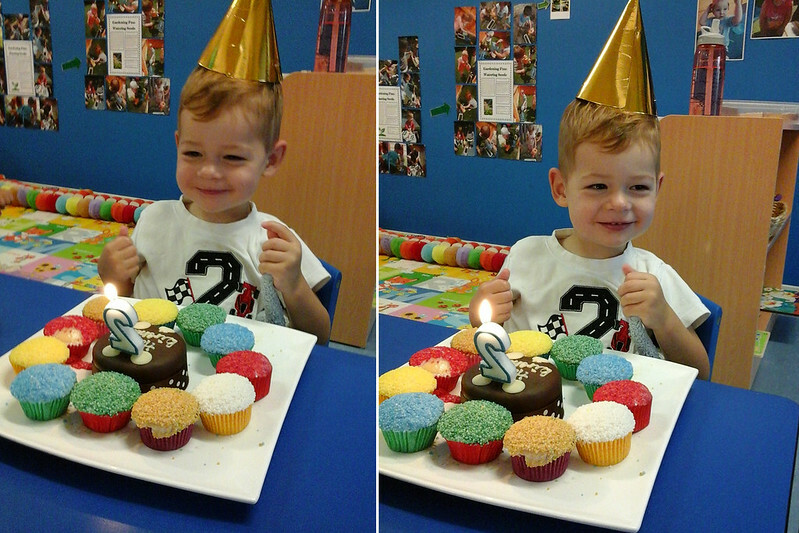 Lachlan's actual birthday fell on a Monday so I decided to dress him in his birthday shirt and send some leftover cupcakes with him to school to celebrate with his friends. His teacher took some pictures for me and said He LOVED it! I am sure we will say this every single year, but it is unbelievable to think that just two short years ago we were living a life without you in it! This year we have seen you grow into your own little person. You are still very much a daddy's boy and in love with all things outside. You are getting very good at playing on your own and have started to use your imagination while you play. It is so fun to see the world through your eyes! While we can't always understand what you are saying, you are constantly talking to us; telling us stories and what you want. This year you became a big brother. It took you a few weeks for you to fully understand that your little brother was here to stay, but once you did, you fell in love! You don't really have a favourite food but love to drink water and milk. Your favourite toys are your little plastic bike, any kind of toy cars and motorbikes! Playing with motorbikes, reading magazines about motorbikes, riding on motorbikes, sitting on motorbikes, helping your dad and big brother work on the motorbikes, matching movies about motorbikes, pointing out every motorbike we walk or drive past... and it goes on and on. We are so excited (and a bit nervous) about what this next year has in store for you and your growing mind. We absolutely love you to bits and could not imagine our world without you! spencer james // four months.